There are many aspects that can define human society, one graphical interpretation of how societies function was represented by Maslow in his pyramid of needs. Within those needs, a series of motivations can be extrapolated in order to explain why individuals pursue certain agendas or engage in different types of activities. People commit certain deeds usually in the hopes of gaining something of value to them. For example, individuals learn in order to gain knowledge, or work in order to get financial benefits, in both of those cases through the given process the aim of gaining something is highlighted. Normally individuals would invest their time in order to gain something, whether that gain is material or not, but there is another type of actions that people find themselves engaged in where they put far more on the line than time, and that is gambling. At the core of the concept of gambling there is the idea that the individual risk something of value in order for him to have the chance of gaining something that he perceives to be of greater value. 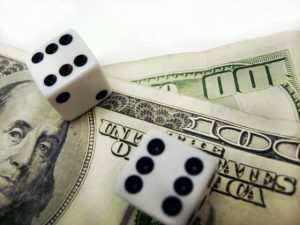 In many cases the participant takes that risk by putting something of value on the line, in the attempt of predicting a certain outcome, which may result in a win if he guessed right or a loss if he does not. This type of betting process is widely spread amongst gambling games. Another aspect that is intrinsical of gambling, is that of chance. The idea of placing something of value, which is also known as betting, in order to have the chance of winning something of greater value. That element of chance is quite alluring to the individual, the chance of getting a considerable prize plus the thrill that comes from the process itself. Gambling as a concept is vast and is embedded in a wide array of elements found within societies, such as games, politics and one of the most notable ones, sports.